August 20-21, 2011 from 11 am to 5 pm. 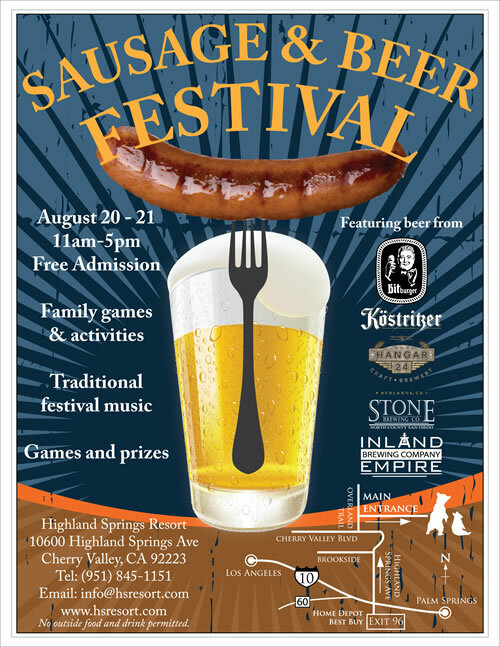 Highland Springs Resort will be hosting their 2nd Annual Sausage & Beer Festival featuring a variety of authentic German Bratwursts, Polish & Hungarian Sausages. Try a variety of traditional German dishes, including Chef Stefan Weck’s secret sauerkraut recipe. Almost all food is prepared in-house. Beer from local breweries (Hangar 24, Inland Empire, Stone Brewing Co.) and German lagers. Games for kids and adults of all ages, including prizes. Free admission. 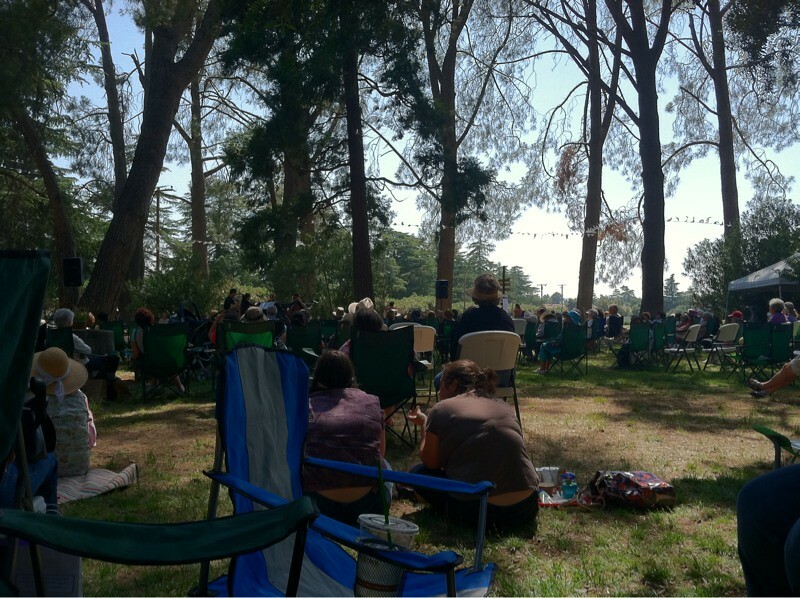 Sausage & Beer Festival in Cherry Valley at the historic Highland Springs Resort. August 20-21st, 11am-5pm. Join me for a #housechat on Twitter! Two weeks ago we had a #housechat about Summer Home Fun. Last week, we took a break because of the long July 4th weekend! This week, I'd really like to learn more about how to Keep Your Home Cool in Summer! Feel free to contribute any ideas or thoughts to our discussion this Friday, July 8th, 2011 at 6:30pm PST! Q1) Introductions - Who are you? Where are you from? Feel free to introduce yourself at any time! Q2) Staying cool during the summer can be hard on your wallet. How do you keep cool without breaking the bank? Q3) Certain colors, textures, and materials make us feel cooler. Have you incorporated any of these design aspects to make you feel cooler? If so, how? Q4) Sometimes your only option to beat the heat is to get away for a little while. Where would your ideal summer vacation destination be? Why? Do you have questions or topics you want to add to the chat? Tell me what you want to talk about by messaging me on Twitter or emailing me at tina.jan@coldwellbanker.com! Learn more about #housechat on Twitter! Click here for updated #housechat instructions. With summer in full swing, it's high time that we brought back our weekly Frugal Fridays! Summer is a typically busy time for the real estate market. Families like moving up during the summer because it doesn't interrupt their kids' school schedules. The warm weather makes house-hunting almost like a fun daytrip! The Inland Empire offers beautiful Southern California homes at an unbeatable price. Now let's look at this week's offerings. There are 278 houses in Riverside County that are bank-owned, standard, or probate sales. These homes are regular single family houses. All the homes in this list are under $100,000! 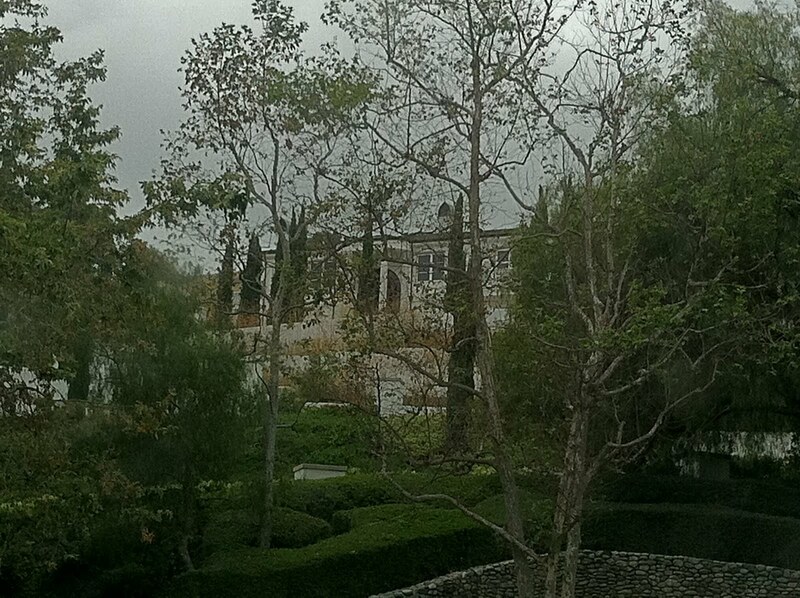 There are 120 condos and townhouses in Riverside County that are bank-owned, standard, or probate sales. Again, these condos are all under $100,000! There are 477 homes and condos in Riverside County that are short sales, under $100,000. In San Bernardino County, there are 459 homes that are bank-owned, standard, or probate sales. All of these homes are under $100,000. 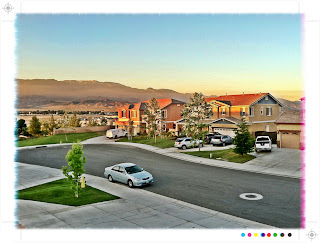 San Bernardino County has only 55 condos and townhomes that are bank-owned, standard, or probate sales under $100,000. There are 667 available short sale homes in San Bernardino County. Between $80,000 and $100,000 - there are 302 short sale houses and condos for sale. In San Bernardino County, there are 365 short sale houses and condos for sale, all priced under $80,000. All in all, many buyers know that it's a great time to buy a home. Investors are really busy right now, searching in their favorite cities for income properties. At these low prices, it's not hard to buy a couple properties to fix up and rent, or flip and resell for more. Take a look at today's Frugal Friday finds and see if there are any cheap Inland Empire homes that you'd like to see. Don't hesitate to call or email me if you have any questions! 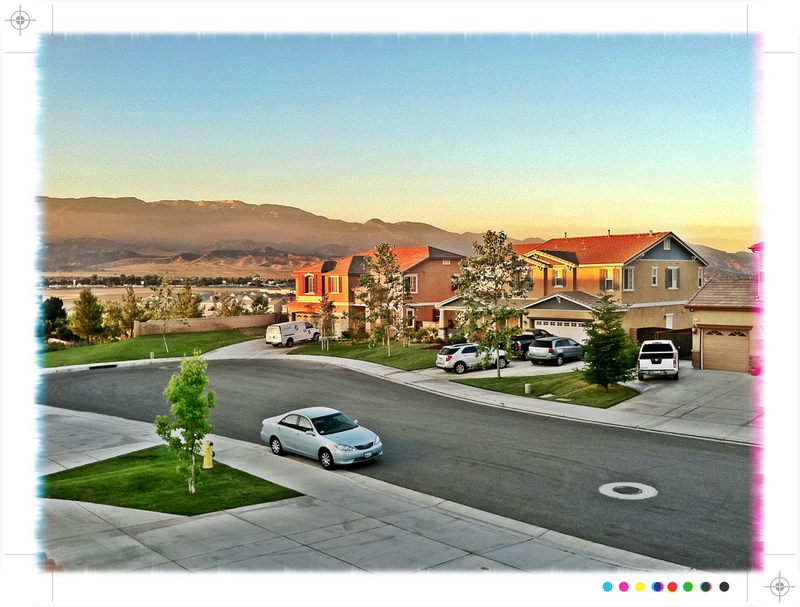 I took this photo while I was out showing property Friday night. The view from the house's balcony was gorgeous, don't you agree? I thought I'd share this with everyone. I love it so much, it's now my new blog background. #Housechat is Back! Join me on Fridays at 6:30pm. This week's theme is: Summer Home Fun! I think I've tried to #housechat a total of 6 times on Twitter in the past. At the time, I didn't have a very good way of tweeting because I was using my computer at home, or netbook while I was on the go, instead of a smartphone with a dedicated application. But I finally got the iPhone for Verizon in February and I LOVE IT! I've been trying to get familiarized with it. Now that I've been using the iPhone for about four months, I think I'm finally ready to bring back #housechat on Twitter. My schedule is really hectic, but I think I will be able to #housechat every Friday at 6:30pm for about an hour! So I think I'll get the ball rolling by starting today. :) Right now I'm really interested in how people are changing up their homes, inside and out, for the hot summer season! So for the next two weeks, I'm really going to be focusing on that. Q1) Introductions - Who are you? Where are you from? Q2) Summer is here! What have you been doing to get your home summer-friendly? Q3) How do you make your outdoor get-togethers fun for everyone? Q4) Where do you shop for your outdoor furniture and accessories? Do you have questions or topics you want to add to the chat? Tell me what you want to talk about by messaging me on Twitter or emailing me at tinajan@gmail.com! Join me for #housechat on Twitter! How do I participate in the upcoming #housechat? Get a Twitter account (http://twitter.com) if you don’t already have one. Every Friday at 6:30pm, (Pacific Standard Time) log on to Twitter and start chatting away (remember to include the "#housechat" hashtag in the text of your tweet). The chat will last approximately 1 hour. 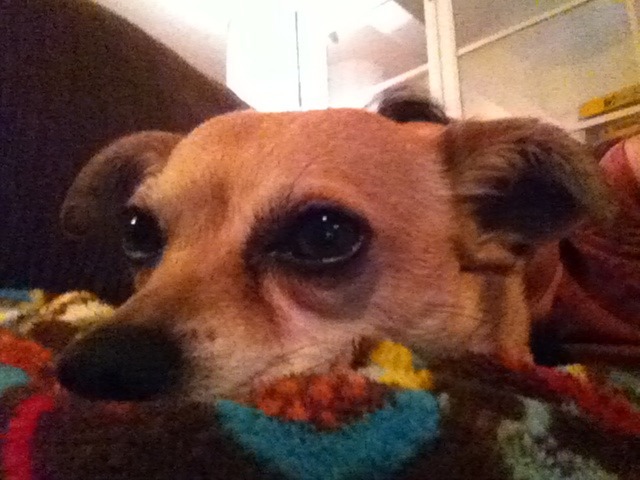 The moderator of the chat (in this case, me) will tweet the questions that guide the discussion. Don’t worry, I’ll label the questions “Q1,” “Q2,” etc. and I’ll repeat them several times. Chat and respond away, so have fun! Please offer your own real estate wisdom, happy experiences, and home-related comments. During the last five to ten minutes we can introduce ourselves, plug our sites, and promote listings or businesses etc. Also, if you’re shy, you don’t have to contribute to the discussion. Just type the “#housechat” hashtag into the “Search” on Twitter and refresh every minute or so. You will be able to read the chat happening right before your eyes. How do I follow along or contribute to the discussion in a #housechat? With every tweet you want to contribute to the discussion, type in "#housechat" at the beginning, middle, or end, it doesn’t matter. When you search for this hashtag (#housechat) in Twitter and refresh the search, voila… you will see a stream of tweets shared by your fellow #housechat tweeters. Depending on the number of participants and how fast they tweet, the stream make flow pretty quickly, but that’s okay. You can always look back at the stream after the chat is over to catch any valuable links, photos, or advice your fellow house-chatters may be sharing. How does the numbered question thingy work in a Twitter discussion? If you get lost during the #housechat discussion, always look for the text “QUESTION POST” when scrolling through the recent chat/tweet history. What are the questions for this week's #housechat? For those of you who like to prepare in advance… the questions for each week's #housechat will be posted on www.tinajan.com as a blog article. Q2) What features would your dream home have? Q3) Do you like or dislike your neighbors/neighborhood and why? Q4) What are your current or future home remodeling projects? Q5) What do you like about your home? Q6) Do you rent or own your home and why? Heavily inspired by #knitchat on Twitter. Thank you "Cloudy with a Chance of Fiber" for the idea and the directions that I've modified from your blog. Hope you don't mind me adapting/"stealing" this wonderful idea from you! It's been a while since I posted any recent real estate news! 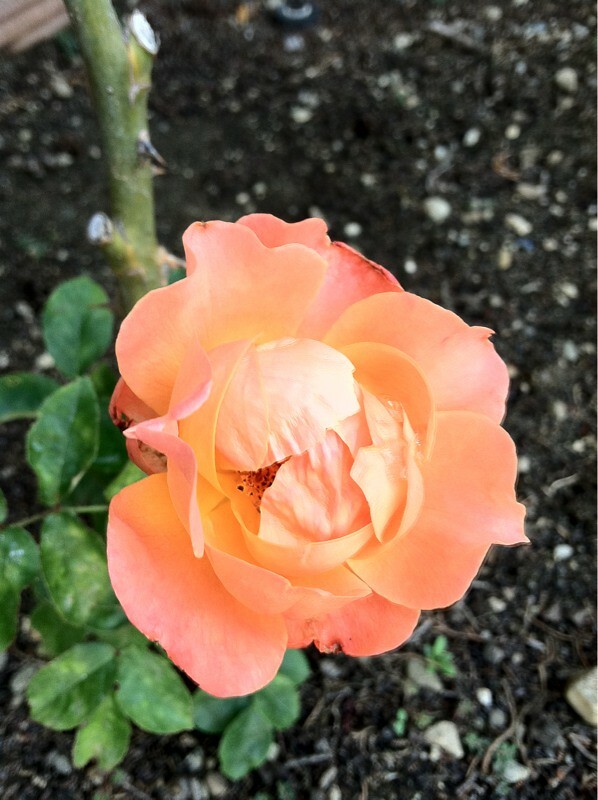 I've scoured the internet for the latest news updates about California real estate trends and issues. Feel free to comment below if you have any questions - I look forward to hearing your responses! For Sale: Zsa Zsa Gabor's Bel-Air estate - only $15 million! - Yay! 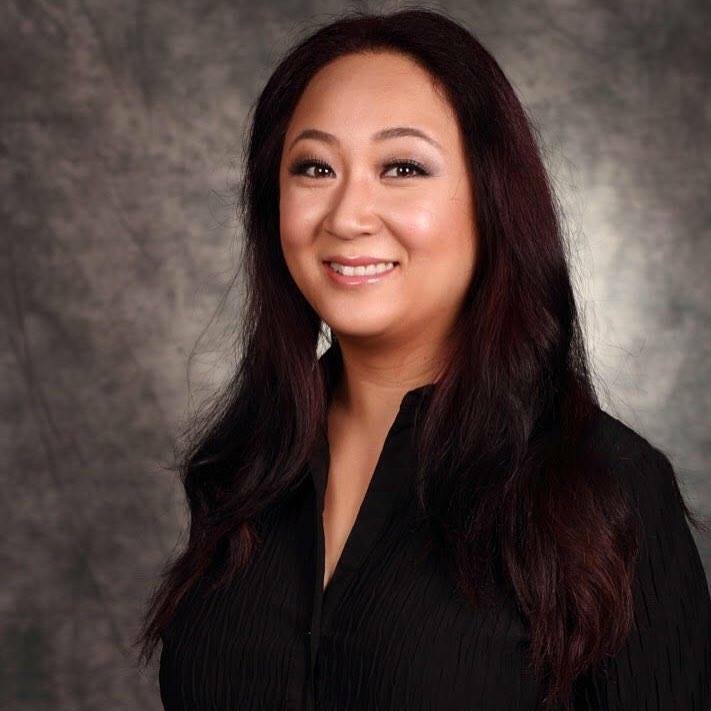 Coldwell Banker agent, Christophe Choo of Beverly Hills, is the listing agent. I know it's weird to promote other agents on your own real estate website, but I really have to give props to Christophe Choo. You'll see what I mean when you see his Youtube video about the most expensive homes in Southern California, seriously, how AWESOME is this video? 10 Steps to a Safe Open House - This is a must-read article for all real estate agents and brokers! Fewer Home Sales in 2011 Compared to Last Year - The housing market has been sluggish because there are fewer buyers first-time buyers making purchases. Last month, only 35% of sales were from first-time buyers. Normally, first-time buyers would be 50% of the market. Foreclosures made up 31% of all purchases. But a large number of pending foreclosures are backlogged in the court system or by state and federal probes into problematic foreclosure practices by lenders. Foreclosure myths, debunked! - If you're having trouble making your payments, call your lender early. Be wary of callers who say they can help with your loan, but don't know your loan number, it could be a scam. Don't ever pay any upfront fees or be pressured to sign anything immediately. Discouraged with scheming real estate agents - Lew Sichelman answers readers questions about real estate. 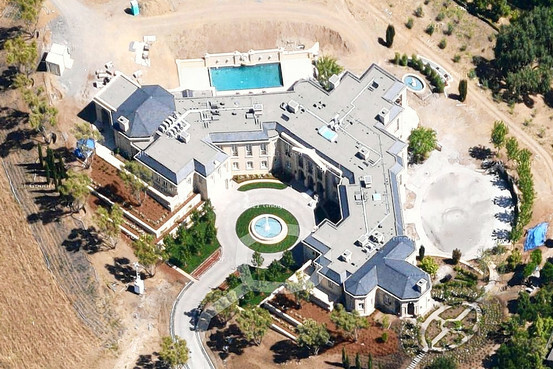 $100 million dollar home in Los Altos Hills, California - Russian billionaire investor, Yuri Milner, paid $100 million for a French chateau-style mansion in Silicon Valley, making this the highest known price paid for a single-family home in the U.S. The purchase of the 25,500 sqft home underscores the strength of the luxury market versus the depression of the median home market. A 30-year, fixed-rate FHA loan with down payment assistance available to help the unique needs of first-time homebuyers. The California Homebuyer’s Downpayment Assistance Program, which offers a deferred-payment subordinate loan in the amount of three percent (3%) of the purchase price or appraised value, which ever is less, to be used for down payment and/or closing costs. The School Facility Fee Down Payment Assistance Program, which provides conditional grants for down payment and/or closing costs to buyers of newly constructed homes throughout California. Partnerships with cities, counties and other regional agencies to provide additional support. Special financing for energy efficient improvements, solar upgrades and weatherization on houses financed with FHA mortgages. These programs help homeowners save money on their utility bills by incorporating energy efficiency upgrade expenses into an FHA-backed mortgage." 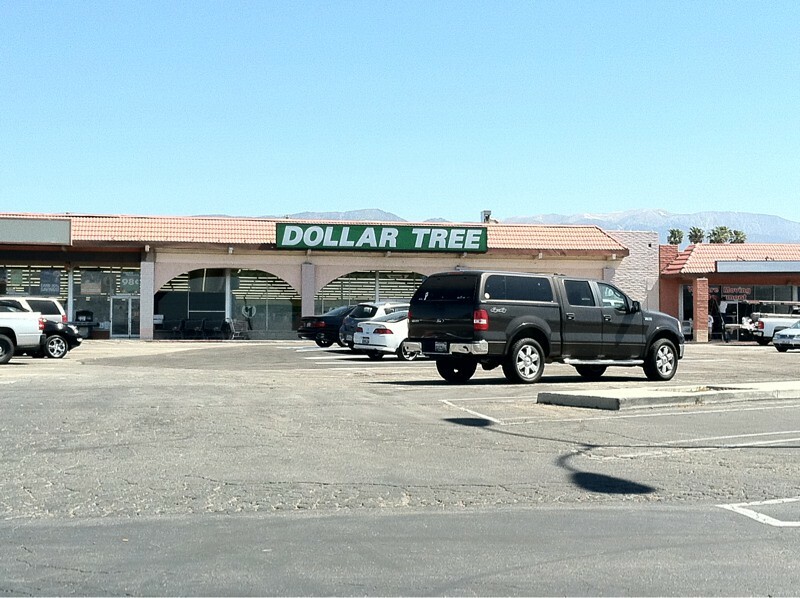 There is a new Dollar Tree store in Banning. I love dollar-stores! It's in the Stagecoach Plaza next to Big Lots. 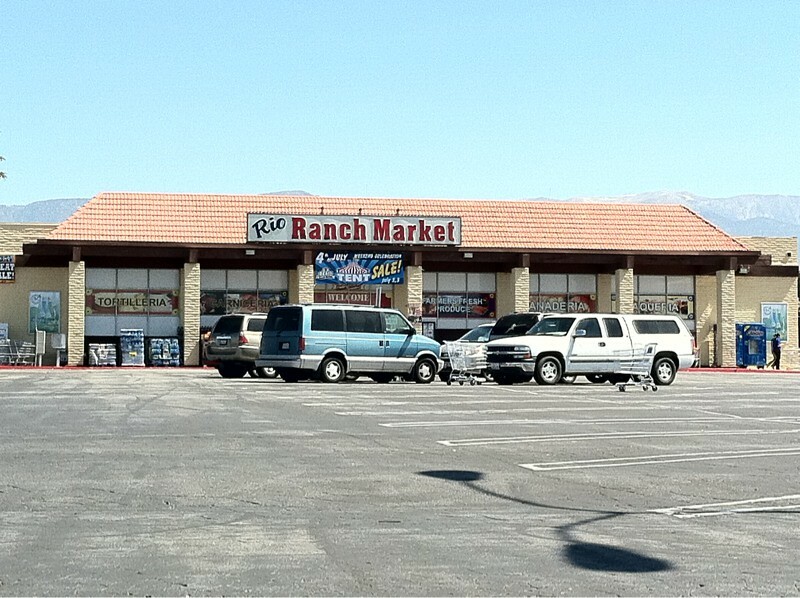 And lets not forget Rio Rancho market. 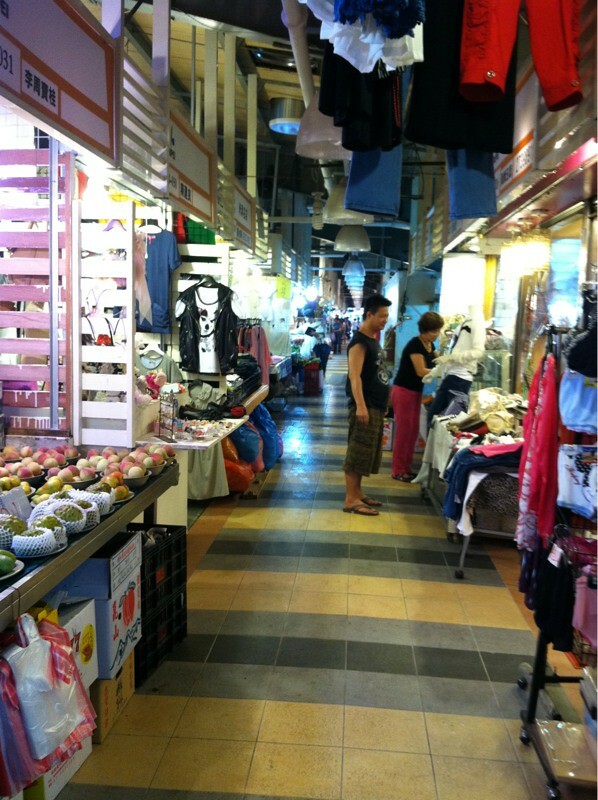 They have really fresh fruits and veggies. 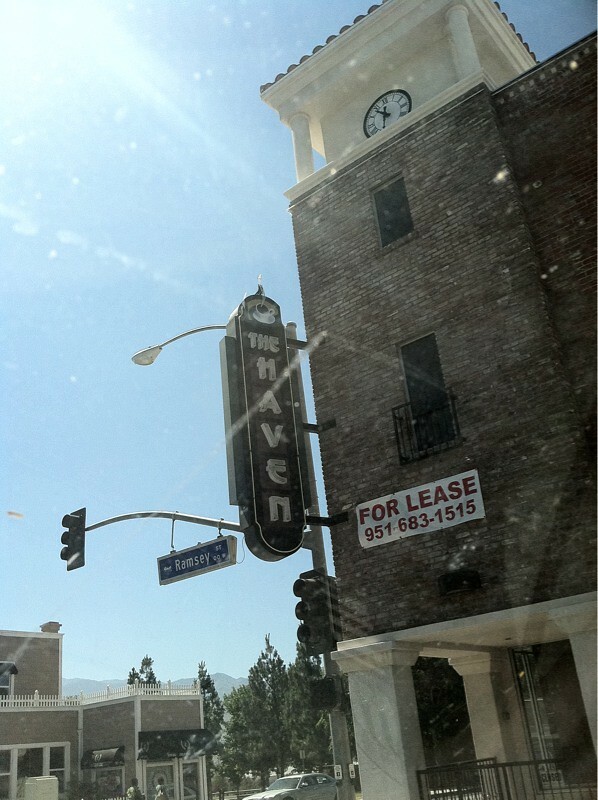 What is going on with The Haven coffeeshop? They can't seem to stay open long enough for me to go in for a cup of joe! There was so much potential here! 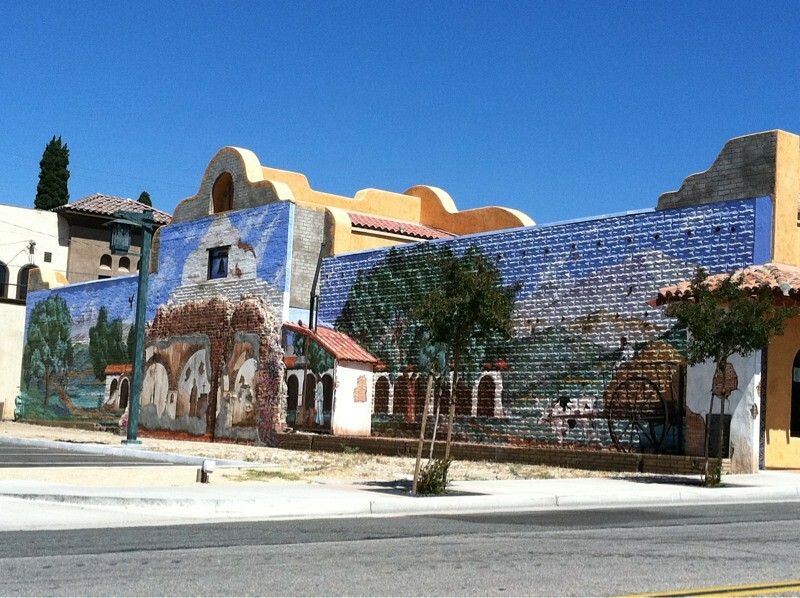 There are lots of lovely murals in Banning. I'll have to remember to stop and take some pics next time I pass one. I love how the one below uses the dimensions of the building to emphasize the mural's subject, an old mission. 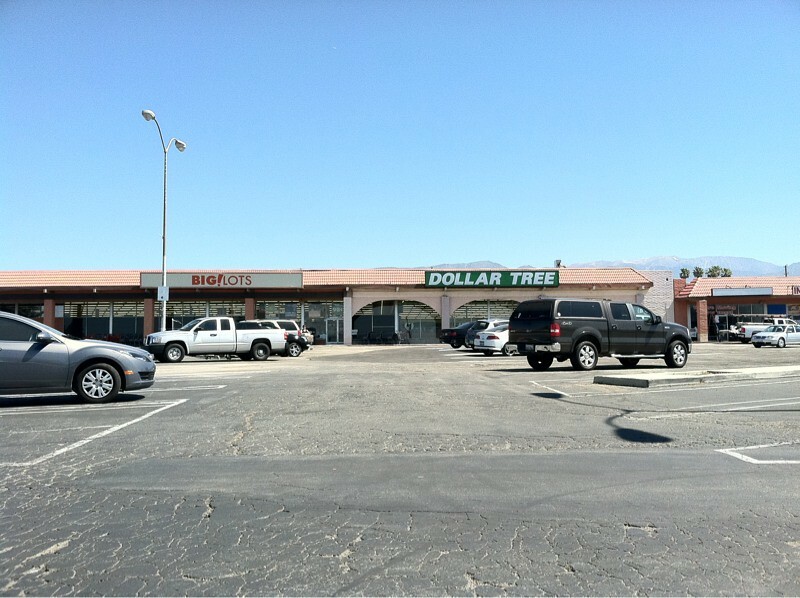 Below are a couple pics of San Gorgonio Ave. This street is hands-down my favorite street in the Pass Area. 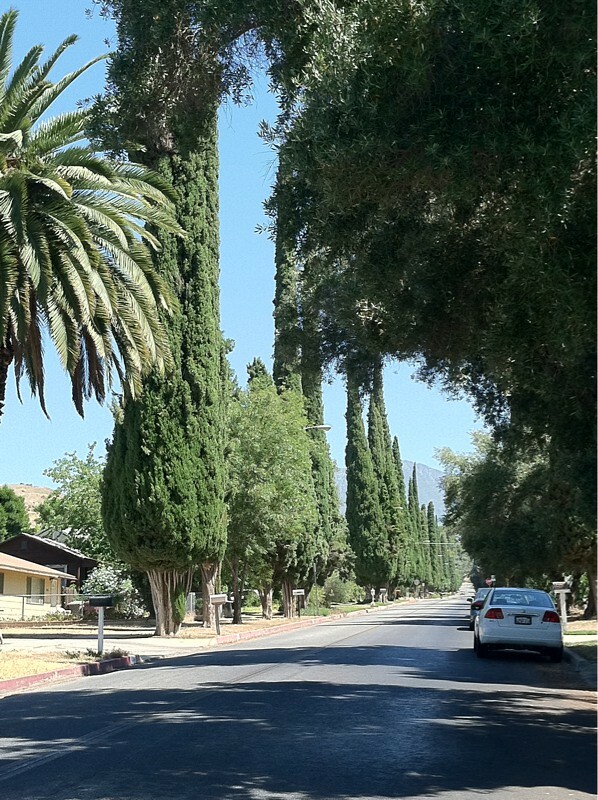 The homes are so charming and the lines of tall cypress trees really add a bit of glamour. 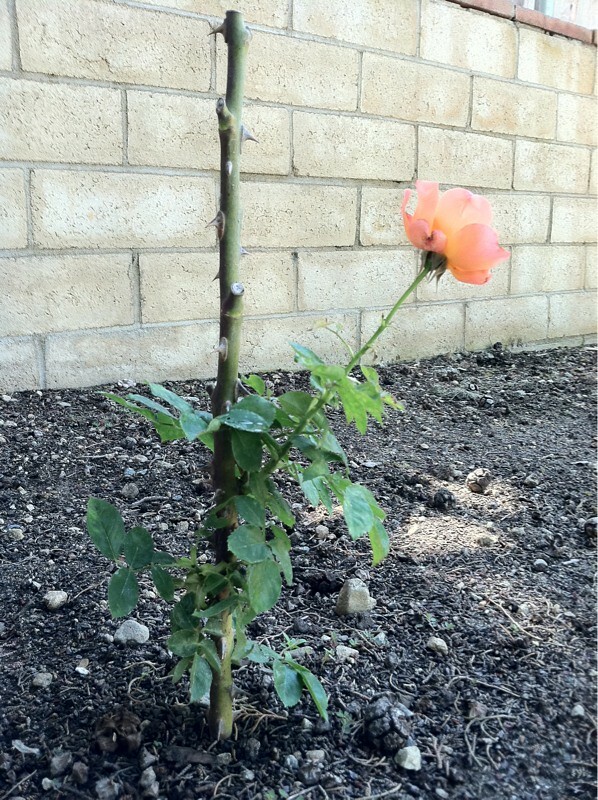 The first rose from my cuttings. 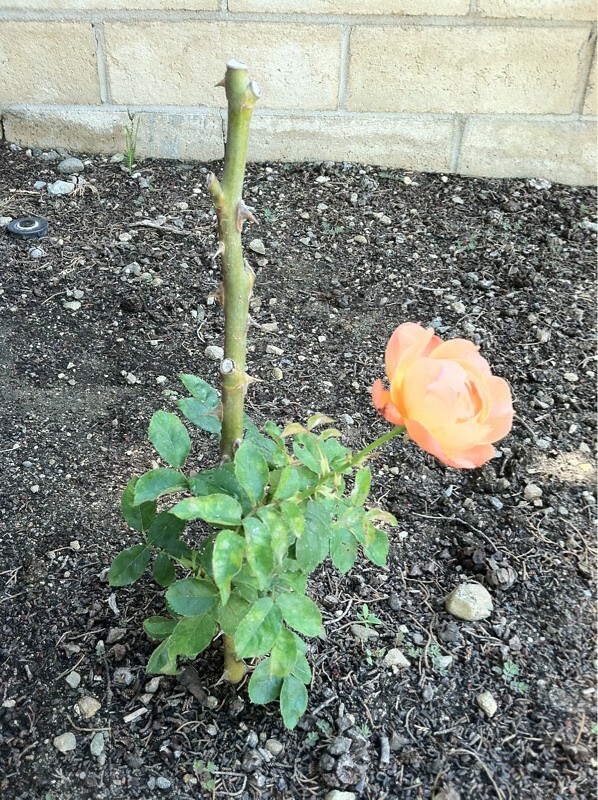 The first rose from the cuttings I planted. Want to search the MLS like a real estate agent? Contact me and I can sign you up for a FREE account! All you need is an email address! It's that easy. Email tina.jan@coldwellbanker.com if you're interested! Ive been out of the country for almost 2 weeks. Just wanted to share some random pics. 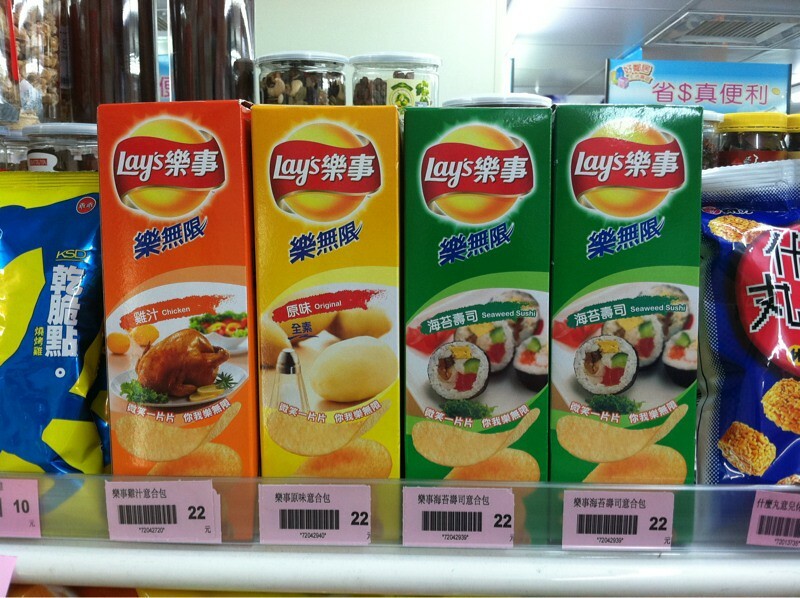 Interesting flavors of potato chips. I think the one on the right is sushi flavor? 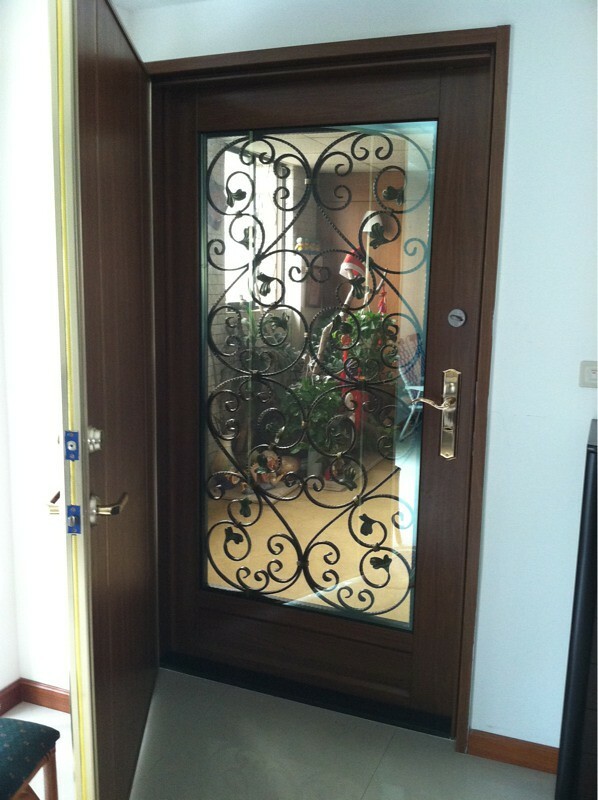 I love the metalwork on this door. 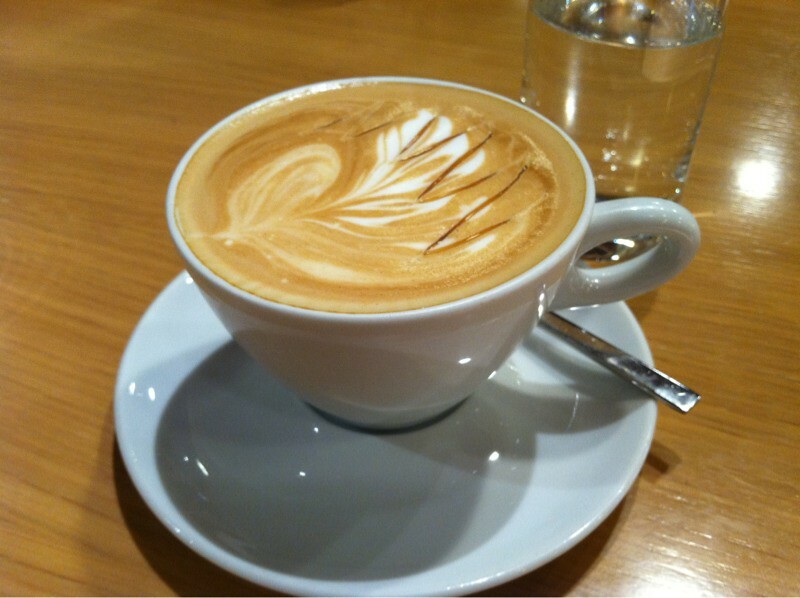 Caramel mocha latte as an art form. 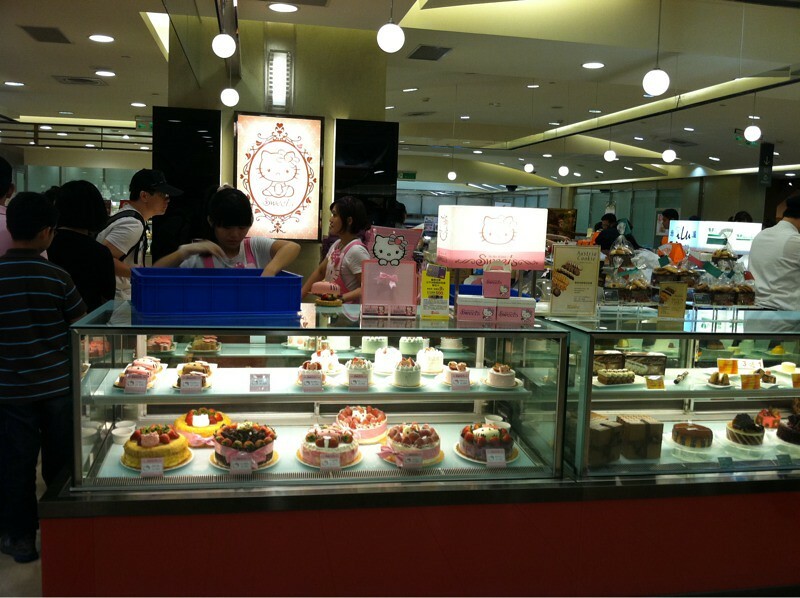 Lovely cakes on display at the dept store. 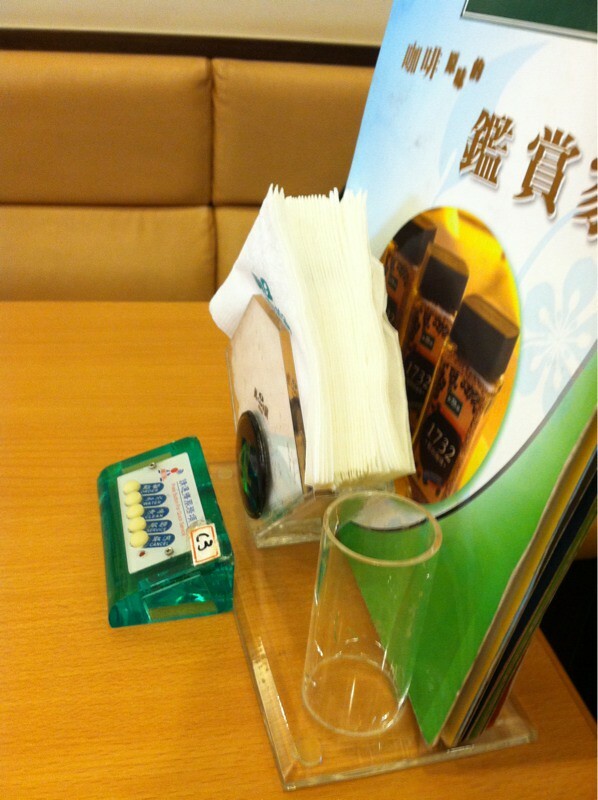 The cafe had a little remote unit w buttons for water and other requests! 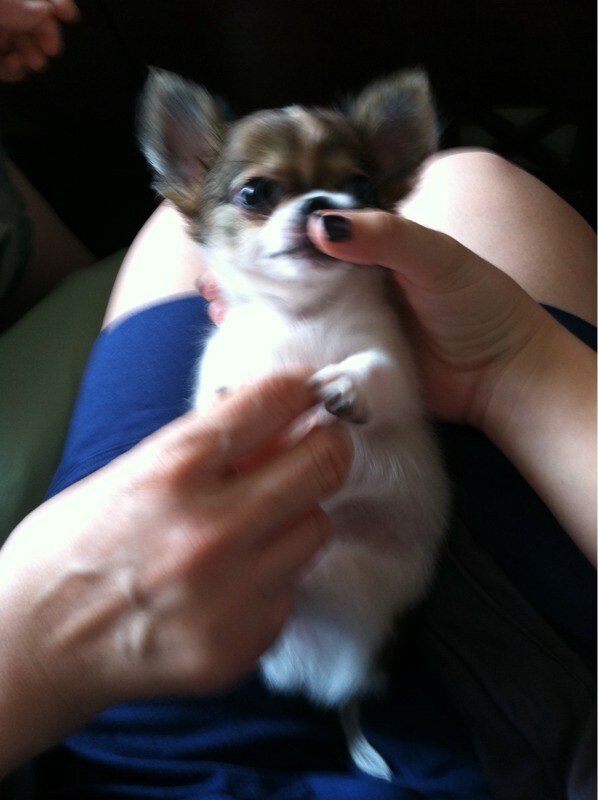 Little dogs seem to be popular. 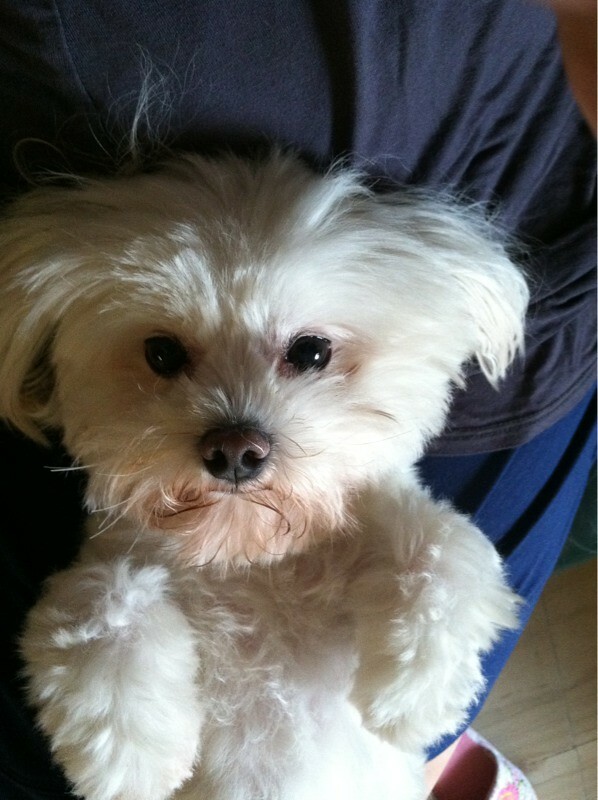 Little dogs have tiny puppies. This one is no exception. Transportation is not an issue. 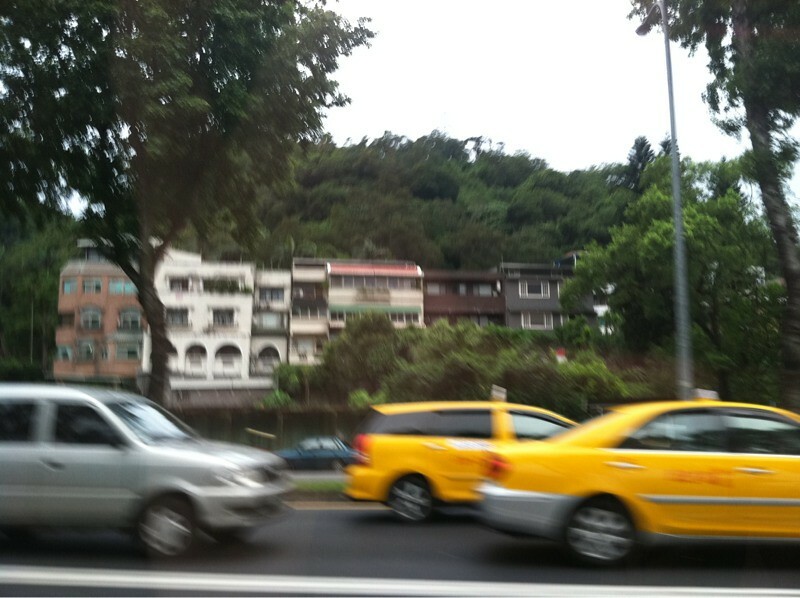 There are taxis, buses, subway trains, and high speed monorails. 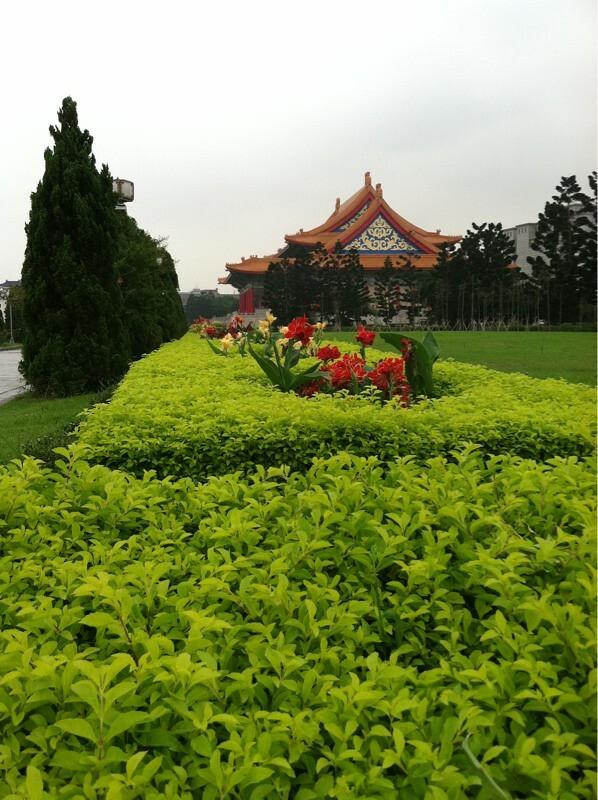 The local flora is lush and colorful. 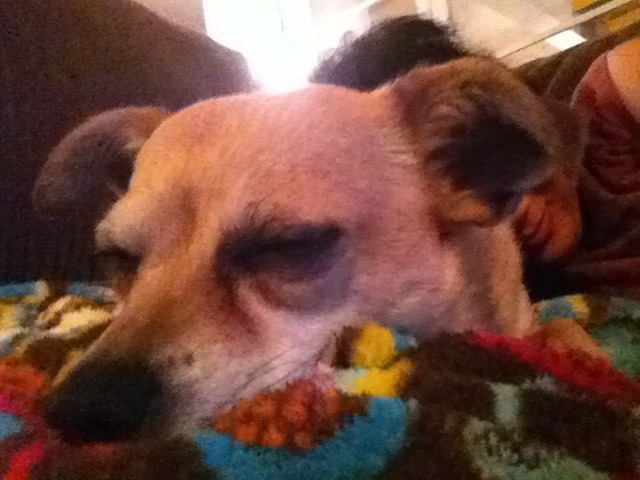 Thanks for putting up with my random pictures! 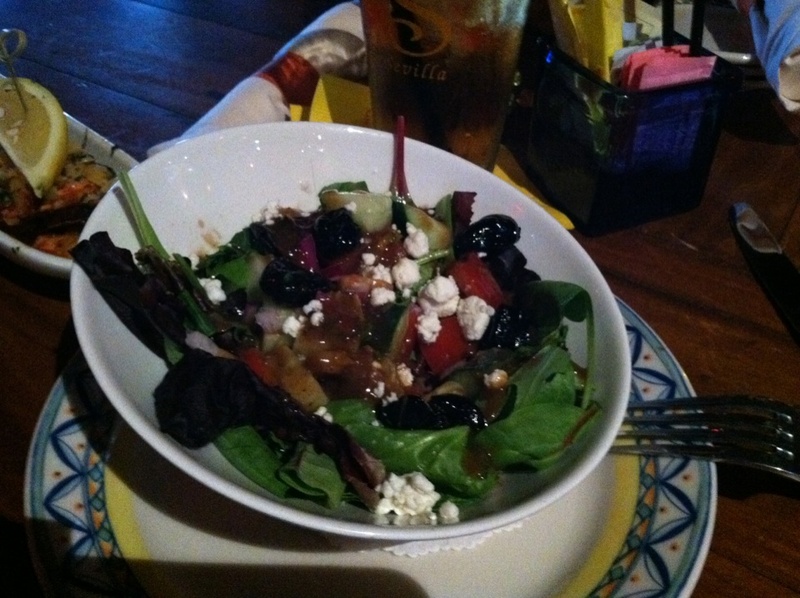 House salad from Sevilla - it has cucumbers, tomatoes, olives, feta cheese, spinach, and balsamic dressing. 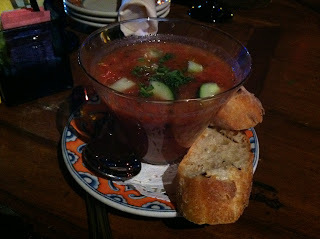 Gazpacho Andaluz from Sevilla - delicious to the last drop! 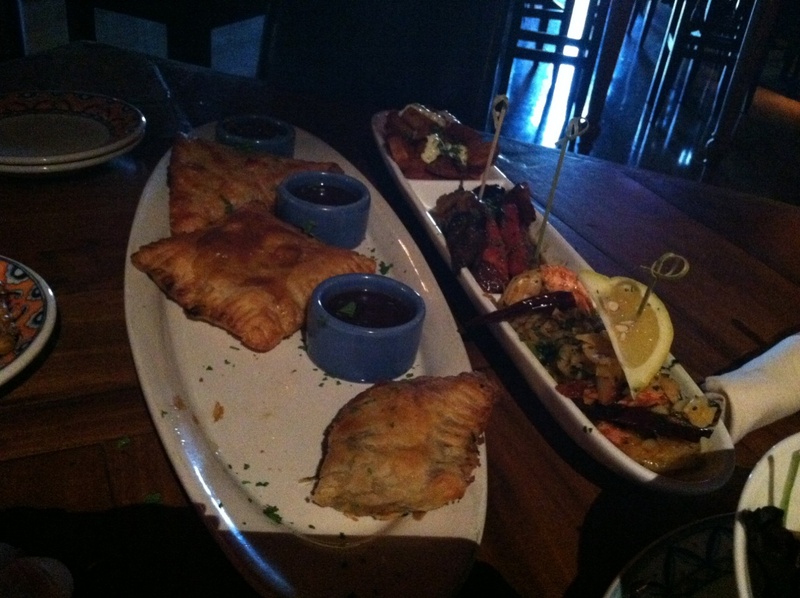 Empenada Sampler - Seafood, chicken, and mushroom empenadas. Patatas bravas, Sausages, and Shrimp Ajillo - on the right. Everything was delicious and flavorful. Even though I've been in the area for years, this was my first time going to Sevilla for dinner. I was pleasantly surprised by the food and ambiance. It was actually nicer than I expected. A quiet Sunday at the office due to the overcast weather. 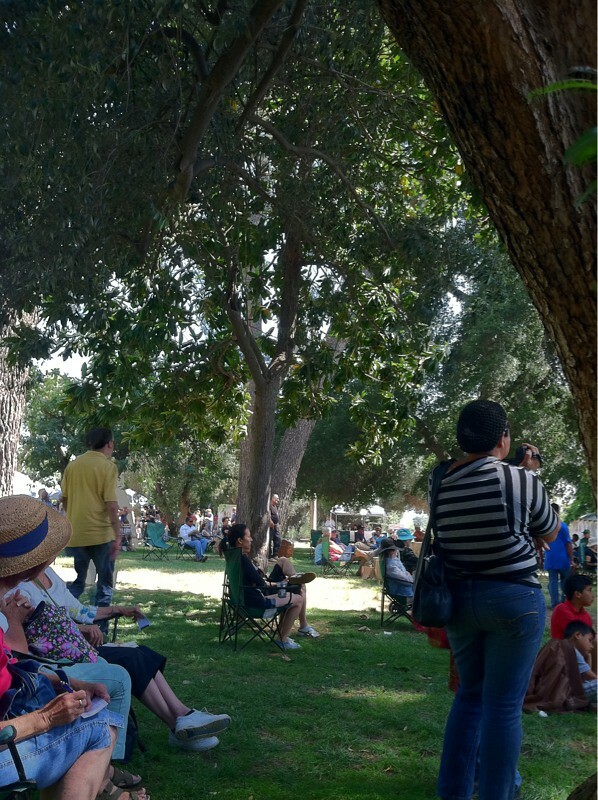 In San Juan Capistrano right now. Look at this gorgeous home! 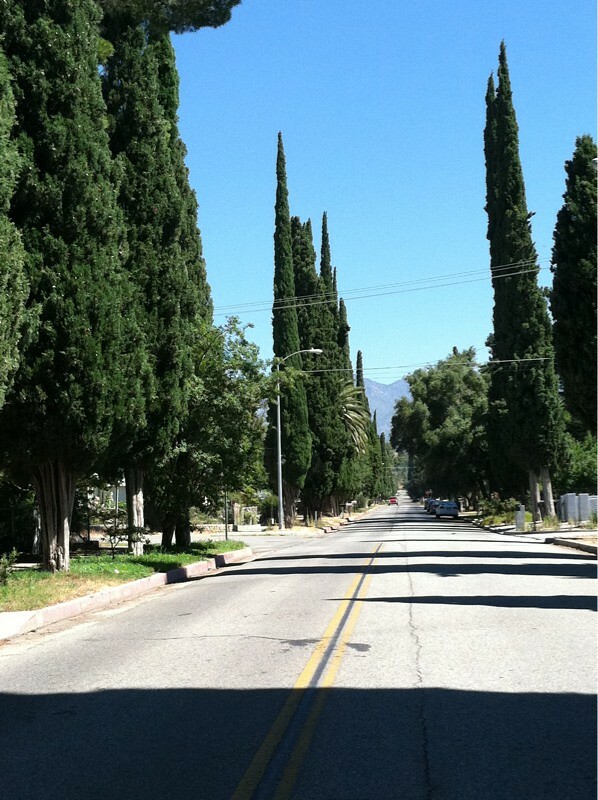 The mature trees hide the property from the street.